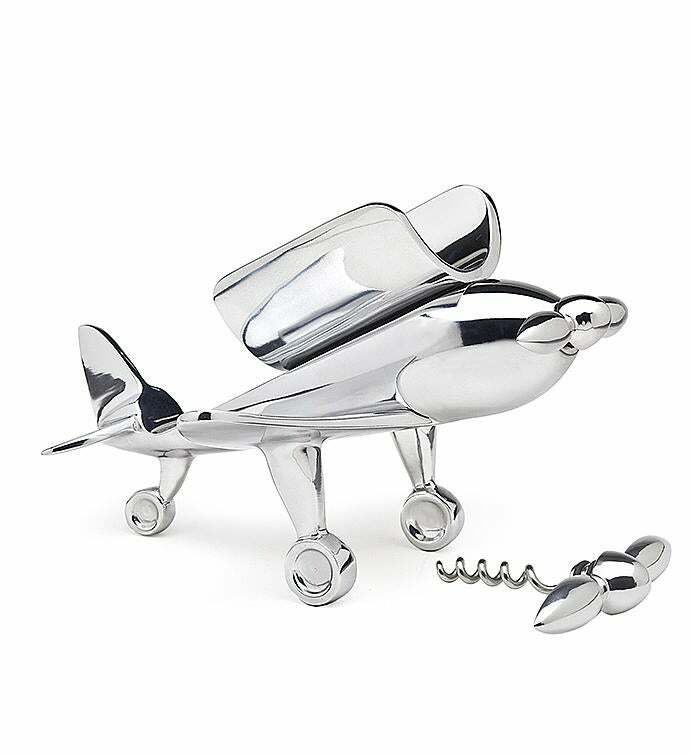 Strap in their favorite bottle of wine with this charming conversation piece. 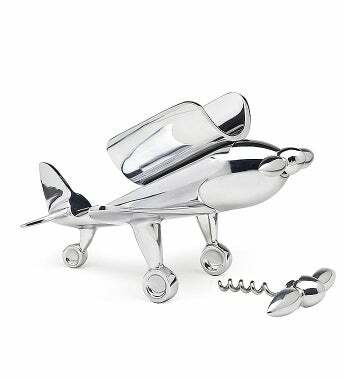 Made of alternative metals, this bottle holder and corkscrew will surely grab the attention of their guests. 10"L X 9.6"W X 6.6"